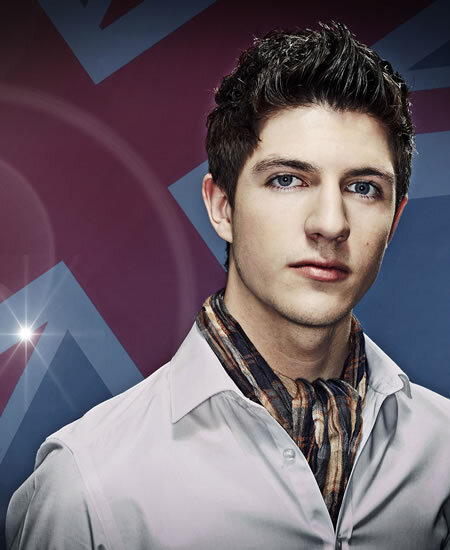 Josh Dubovie is 19 years old and comes from Essex and will represent the UnitedKingdom at in the Eurovision Song Contest 2010. He will be the first UK representative to perform live at the Preview Party this weekend with his revamped final version of the Pete Waterman penned entry ‘That sounds good to me’. Josh has been singing since he was little. Aged nine Josh attended StageAbility Drama school at weekends and as an after school activity. The school concentrated mainly on acting, but they also put on musical theatre shows like The King And I and My Fair Lady. Aged fifteen Josh was given the part of Enjolras in the school production of Les Miserables. As he had never sung before he went to see a vocal coach. Josh instantly fell in love with singing swing and his coach encouraged him to put on showcases of his music. When Josh left school his father, Richard, decided to manage him and has got him the majority of his professional work. In 2009 Josh starred as Riff in StageAbility’s production of West Side Story. Josh believes he has his mum's voice and his dad's confidence. He has performed at countless festivals and sports events and now works as a professional singer. Josh's song That Sounds Good To Me was masterminded by music legend Pete Waterman who produced numerous hits for e.g. Kylie Minogue, Rick Astley or Steps.